The second-generation iPad Pro 12.9in has finally made its debut, and it's not cheap either. In fact, it costs a similar amount to Apple’s MacBook Air, which begs the question, can an iPad Pro replace a Mac? We compare the iPad Pro to the (mid-2017) MacBook Air and decide for ourselves. Reverting back to the original question of whether an iPad Pro could truly replace your Mac – it’s a hard question to answer, and we think it depends on a number of factors, from what you’d use the iPad Pro for, to your requirements for work. Are you a creative? Do you edit videos or photos on the fly? Or do you just want a bigger iPad for TV and gaming? Then you could probably ditch your MacBook and buy yourself an iPad Pro. However, if you rely on USB-powered accessories for every day life (like memory sticks), rely on software that isn’t available on an iPad or just need a “do it all” system, the MacBook Air seems to be the better option. The second-generation 12.9in iPad Pro is now on sale - read our iPad Pro 12.9in (2017) preview for more details - after being announced at Apple’s developer-focused WWDC 2017 keynote alongside iOS 11, macOS High Sierra and a flurry of hardware updates. It’s not cheap though, as the iPad Pro costs a similar amount to Apple’s MacBook Air – which begs the question, can an iPad Pro replace a Mac? We compare the iPad Pro to the (mid-2017) MacBook Air and decide for ourselves. For arguments sake, lets compare the 13in MacBook Air to the iPad Pro, as it has a similarly sized 12.9in screen and thus, should have similar dimensions. Even though its called the MacBook ‘Air’ it seems to be the bulkier of the two, though not by much – the iPad Pro measures in at 305.7 x 220.6mm and is only 6.9mm at its thickest point, while the MacBook Air measures in at 325 x 227mm and is 17mm at its thickest point. Although with this being said, the iPad Pro is clearly the lighter option of the two, weighing in at a lightweight 677g compared to the bulkier 1342g MacBook Air. However, dimensions aren’t everything; for an iPad Pro to replace a MacBook Air, it needs to be able to do everything a MacBook Air can, and more. While in terms of processing power, the iPad Pro is an interesting specimen (we’ll come to this in more detail below), it falls flat on its face in one important area; ports. Though the MacBook Air has fewer ports than others in the Mac range (due to its slim form factor) it still boasts more connectivity than the iPad Pro, offering a headphone port, Thunderbolt 2 port, two USB 3.0 ports, an SDXC card slot and of course, the hugely popular (but soon to be discontinued) MagSafe 2 power port. The iPad Pro on the other hand? It features a ‘smart’ connector used for connecting keyboard covers, along with the single Lightning port and headphone port available on the device. The lightning port can be used to import photos and videos from an SD card when used with a Camera connector (sold separately) and mirror the iPad Pro display to the TV using a Lightning Digital AV Adapter (also sold separately), but those looking to pop a memory stick in and browse their files will be disappointed. It’s the one area we feel the iPad Pro is lacking, especially for those looking to use the iPad Pro on business trips – even its main competitor, the Surface Pro 4, has a number of ports including a full size USB 3.0 port, a Mini DisplayPort and a micro SDXC card slot. So the iPad Pro might not be the best option for business men and women, but what about for those looking for a media consumption device? This is an area where the iPad Pro excels thanks to a number of factors, but mainly thanks to its’ display and audio. The iPad Pro has a 12.9in LED touchscreen with a resolution of 2732x2048, giving it a pixel density of 264ppi, while the MacBook Air boasts a 13.3in glossy LED display with a native resolution of 1440x900, almost half of the iPad Pro offering – and the difference is noticeable. This makes gaming, catching up on the latest TV and even browsing the web on an iPad Pro a much crisper, vivid experience. 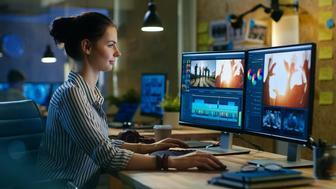 Although media consumption doesn’t just rely on video – as any decent video editor will tell you, audio has a just as important – if not more important – role to play. Think of it like this; if you’ve got a native 4K video but low quality, highly compressed audio, you won’t enjoy the experience the same as with crisp, high quality audio. The MacBook Air features stereo speakers that aren’t exactly ground breaking; while it’s satisfactory for catch-up TV, it’s isn’t something you’d constantly be playing music though (we always opt to use a Bluetooth speaker rather than the built-in MacBook Air speakers). The iPad Pro on the other hand has not two, but four speakers that help to produce a “stereo soundstage” as described by Apple. The speaker housings have been machined directly into the body of the iPad Pro, producing a wider frequency range, improved volume and audio that seems to be coming directly from the center of the display, opposed to from behind or the sides, as is the case with other iPads. It really provides a more immersive experience when gaming or watching movies, and although it still isn’t as bass-y as we’d like, it’s a huge improvement over the MacBook Air and previous iPad models. It’s time to move onto the most important part of the comparison (for some at least) – processing power. The 13.3in MacBook Air boasts a 1.8GHz dual-core intel core i5 processor, Turbo Boosted up to 2.9GHz with 8GB of RAM and Intel HD Graphics 6000, which when coupled with a SSD provides a solid performer with enough power to complete every day tasks, as well as use processor-hungry software like Photoshop and iMovie. The iPad Pro features Apple’s latest (and greatest) SoC, the 64-bit A10X Fusion, which is a different beast altogether – and when coupled with an M10 motion co-processor (and a yet unannounced amount of RAM), you’ve got a machine that should handle anything you can throw at it. While a MacBook Air may struggle with the likes of high-resolution video editing, the iPad Pro is capable of editing three streams of native 4K video at once with no sign of slowing down, giving you some idea of its capabilities. The iPad Pro comes running iOS 10, Apple’s latest mobile operating system whereas the MacBook Air features macOS Sierra, a fully-featured desktop OS. iOS 10’s key iPad-focused features like split-screen browsing in Safari work really well on the iPad Pro. You no longer need to scroll down to continue reading an email because (in general) the 12.9in screen will be able to display the email in full, even when sharing the screen with another app in split-screen mode. This in turn makes you more productive, as you’re able to operate two apps independently at the same time and get more information at a glance. However, with a MacBook Air running macOS Sierra, you can have a number of apps open at the same time, with the ability to switch between active windows only a click of the trackpad away. Some people may think using a trackpad is faster and more efficient than using a touchscreen, but we think this is more down to personal preference than anything else. One area where the iPad Pro may not be able to compete with its macOS counterpart is, ironically, pro apps. For a long time, developers have complained that Apple’s App Store policies act as a barrier for those that want to create iOS versions of Mac apps. Professional apps can cost hundreds of pounds – Digital design app Sketch 3 costs £79.99 when purchased for Mac, which is a lot of money to hand over without using the app first. Of course, Mac users are treated to a free trial before parting with their cash, but the same can’t be said for the iOS App Store, where free trials aren’t available. Consumers have to take the leap of faith, purchase the app and hope its what they need – something that wouldn’t happen with pro apps that’d likely have a similar price tag to their Mac counterparts. The other option is to lower the price and hope it encourages more sales, but with professional apps that cater to rather small, niche markets, it’s not a viable option. Even if consumers did pay full price for a pro iPad app, paid-upgrades (something that’s fairly standard with Mac apps) aren’t available with the iOS App Store, meaning developers that put resources and time into app redesigns can’t reap the benefits of extra income. However, with that being said, the iPad Pro wins in terms of app discovery and availability. Though there is a multitude of apps available for Mac, the Mac App Store isn’t over-populated to say the least. Compare this to the iOS App Store which has over 1,500,000 apps and its clear to see that in terms of app discovery, the iPad Pro offers the better platform. It’s ideal for casual gamers, too – where on a Mac you’d pay £10-40 for a decent game, iOS games are generally much cheaper, with the average game costing between £0.99 and £4.99. When it comes to downloading files from the internet, the MacBook Air is the clear winner. iOS users can download and open files, but it can’t be any old file – it has to be a photo, video or a supported file type that can be opened by an installed iOS app. Even then, downloads can be slow and depending on the overall size of the download, you could run into errors – as we often have – whereas downloads on a MacBook Air are handed with ease, no matter whether its large or small. You also have complete freedom with file formats too, as you can download any file type to your MacBook Air. Let’s move onto accessories, an area particularly important for graphic designers and artists alike that use digital platforms to create their artwork. Of course, the MacBook Air isn’t touchscreen-enabled, so using any kind of stylus is out of the question – and trying to draw on a MacBook display would be pretty awkward (with its current design, anyway). Creatives using a MacBook Air for work would have to fork out for a graphics tablet to produce similar results to what is possible on the iPad Pro with the Pencil – except a decent graphics tablet, like the Wacom Intuos Pro, costs £299.99. Not ideal when you’ve just paid £850-1000 for the laptop. As mentioned, the Apple Pencil is the flagship accessory for the iPad Pro, and was announced alongside the device itself in September 2015. The Pencil was designed specifically for use with the iPad Pro, and boasts a number of impressive features, including virtually no lag when drawing. This is possible because the iPad Pro can sense the difference between Pencil input and finger input, scanning its signal 240 times per second when the Pencil is detected, giving the iPad Pro twice the amount of data it would normally collect. That’s not all though, as the Pencil can also detect varying levels of pressure, which allow for better shading, and should help to produce more life-like images than before. There are also two tilt-sensors built into the tip of the Pencil that calculate the orientation of your hand, meaning you can tilt the Apple Pencil and shade like you would when using a real pencil and achieve the desired effect. Even with regards to its design, it’s a winner – our sister site Digital Arts let artist and illustrator Pete Fowler use the iPad Pro & Pencil, and he remarked that "In your hand, it just feels fantastic” and that “there's a really nice weight to it". 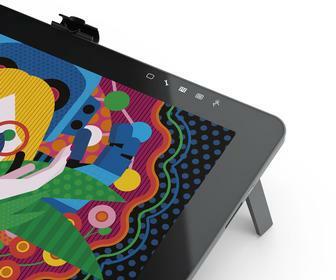 It’s a fascinating accessory, even for those without an artistic bone in their body (like us) and at £99, it’s a lot cheaper than buying a graphics tablet. Last, but by no means least, we come to pricing. The iPad Pro starts at £769 if you want the variant with 64GB of storage, jumping up to £859 for 256GB of storage, and a whopping £1,039 for 512GB of storage. If you're looking for an iPad Pro with cellular connectivity, prices jump up to £899, £989 and £1,169 respectively. Though that may seem like a lot of money to fork out for an iPad, especially considering the standard 9.7in iPad starts at £339, its processing power and hardware puts it in the same category as the MacBook Air. The 13.3in MacBook Air starts at £949 and comes with 128GB of PCIe-based flash storage, jumping up to 256GB for those wanting to part with £1,099 of their hard-earned cash. Comparing 256GB Wi-Fi models (there is no cellular MacBook Air and no 128GB iPad Pro), the iPad Pro is a whopping £240 cheaper than the MacBook Air, but that’s not including accessories. For the iPad Pro to replace your Mac, you’ll probably have to fork out for a keyboard cover – the official Apple iPad Pro keyboard cover will set you back £169. And if you’re a creative, the Pencil costs an additional £99, although buying both accessories are a cheaper option than opting for the £299 Wacom Intuos Pro, as mentioned earlier.